Grulla III, originally uploaded by TagRiis. 1) A sample consists of 2 large (7 or 10 mL) yellow or purple top vacutainer tubes. They do not need to be kept refrigerated. 2) With your samples, please include a pedigree with colors. He mainly needs the color of the sample horse and its parents. 3) Label tubes and pedigrees with the horses name (registered name is suggested) and your name. 4) I would include your email address/phone number, too, as you may then be given the results of test results if/when he gets to the point of developing a test. Not sure if your horse is dun or not? 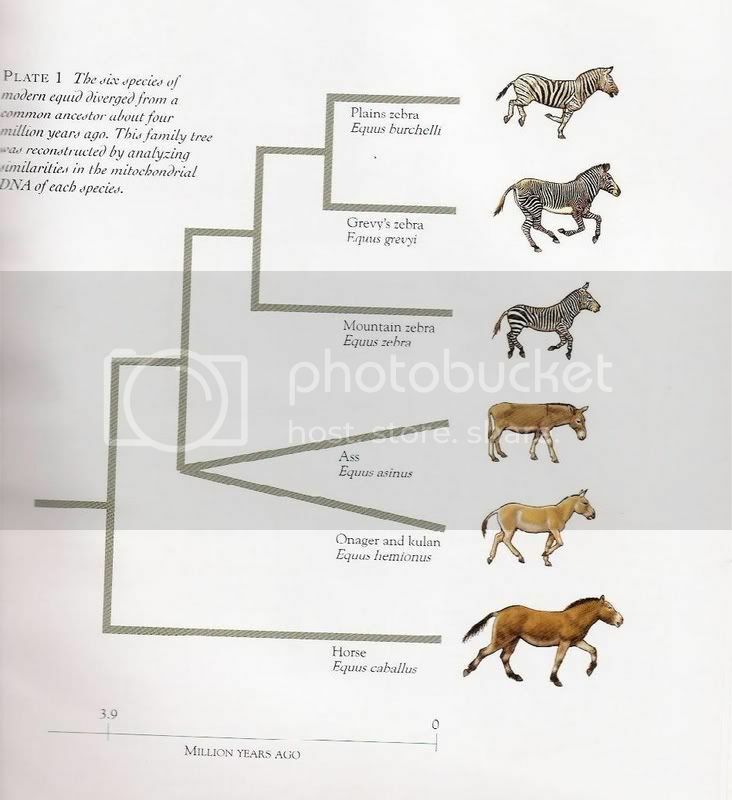 Dun Central Station is a great resource; although it focuses on Morgans, colour genetics are the same across all horse breeds. There’s a “field guide” to identifying dun characteristics, and a page of great photos showing horses which some think are dun, but are not. 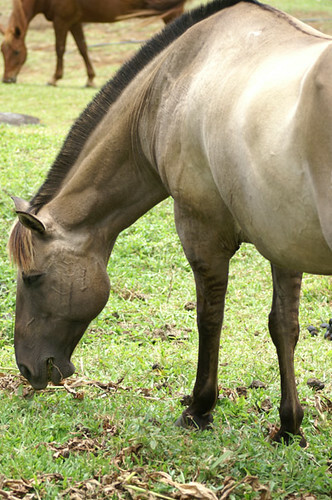 Buckskin and dun are NOT the same thing, and a dorsal stripe by itself means little. Arabs and Thoroughbreds do not have dun in their gene pools (the only dilution gene TBs are known to carry is cream, and even that’s pretty rare) so you can rule them out. Remember too that a horse must have at least one dun parent in order to be dun; it doesn’t skip generations, although it may be hidden by other factors, such as grey. I have a Grulla and 2 Duns (Mother, daughter, & grandson.) Guess I would have to go to my vet to have the blood pulled. Hmm I wonder how to put this so its understandable… The same color of dun look not allways the same between diffrent breeds. Like grulla on a fjord vs a grulla on, well any other breed than fjords. That have made me think of the possibilities of they having another or just more dilution genes than other horses. In a nutshell, the answer is: shade.